This Arabian Night is a special event we created for you. Equestrian Club or Nadi Furusiya is one of the famous high-end venues in Jeddah, precisely located at Park Hyatt Marina Club. Welcome drink, set dinner menu & the best Arabic live performance will be ready to entertain you. If you're living in Saudi Arabia for a temporary time this is your chance to catch the best soul of this amazing country. Enjoy the great combination of wearing a gorgeous kaftan or fancy Jalabiya, listening to live Arabic music, tasting five-star Arabic foods & get to know more international friends. Make sure you are with us this time and let's enjoy the wonderful sea view from our table. 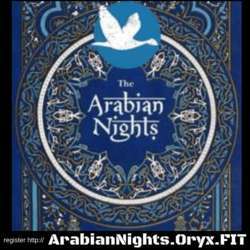 We recommend you to do the re-registration & submit early payment by clicking this link: http://arabiannights.oryx.fit/ to reserve your spot.